Happy Sunday, my friends and welcome back to 3-Ingredient Happy Hour, the weekly drink column featuring super simple yet delicious libations. I'm off to France to take cooking lessons, so I thought I'd celebrate with Julia Child's favourite cocktail: the upside-down martini. 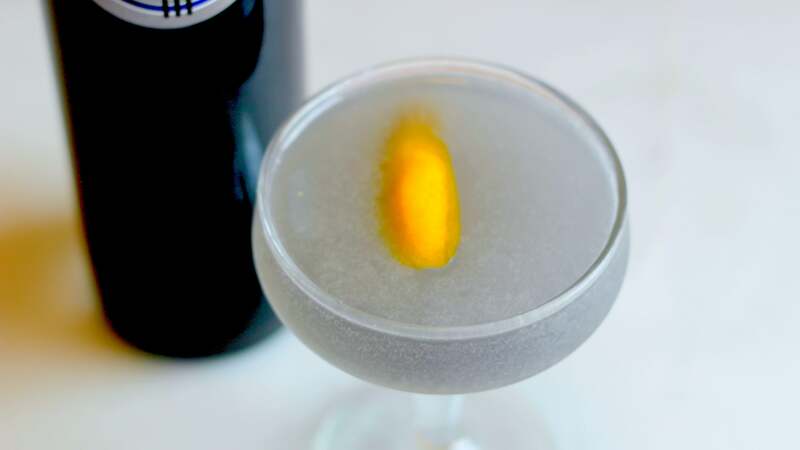 Happy Easter weekend, my friends, and welcome back to 3-Ingredient Happy Hour, the weekly drink column featuring super simple yet delicious libations. This week we are making a super refreshing, easy on the eyes beverage. There is some debate over the vermouth-to-gin ratio in the drink, but Julia is said to have enjoyed a very wet ratio of five parts vermouth to one part gin. 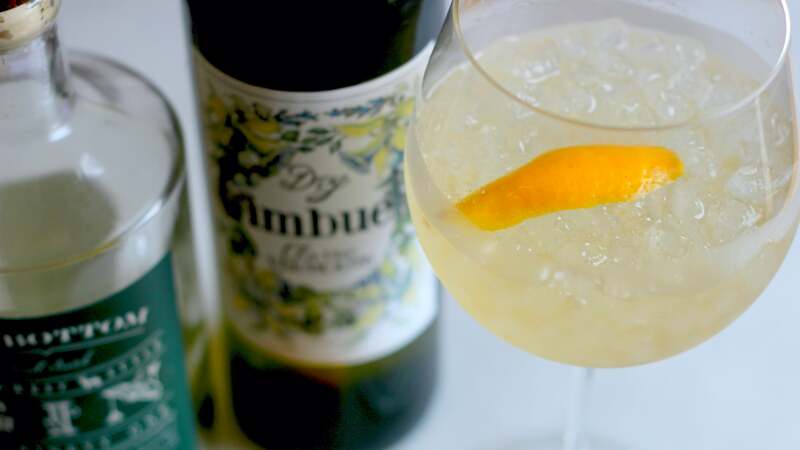 It's a decidedly refreshing and unfussy drink, built and served in a wine glass over crushed ice. Combine vermouth and gin in a wine glass with a large handful of crushed ice and give it a little stir. Express the oils from the zest over the glass, and rub it around the rib before tossing it in.